I grew up in a stinky kitchen. The wash room in my grandmother’s house was a small hallway between the kitchen and the back door. It was a room that did much more than the laundry. My grandmother put the surface of her washer to good use, and I don’t mean for setting laundry on. She would grow sprouts, start seeds and make egg water. And yes, the egg water was stinky. It often smelled up the entire kitchen. Eventually, Oma realized she should just store it outside on the stoop. But by that time, I had grown up with it and was accustomed to the smell. It’s amazing stuff though. Regardless of where you keep it, it does AMAZING things for plants! They grow faster and stronger with each watering. The sulphur truly helps. And the best part is that it’s totally easy to make! 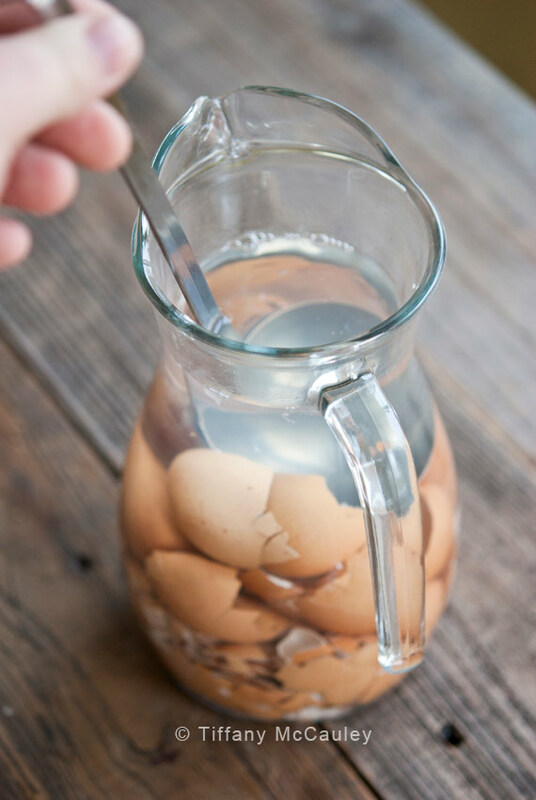 All you have to do is keep a container or pitcher with water in it and crumble up your egg shells (I use a ladle to stomp it down) into the water every time you make eggs. Over time, the eggs will fill up the bucket and you’ll have some nice, stinky Homemade Miracle Grow Water to water with. I promise, it’s not completely intolerable. While it does stink, it’s manageable. 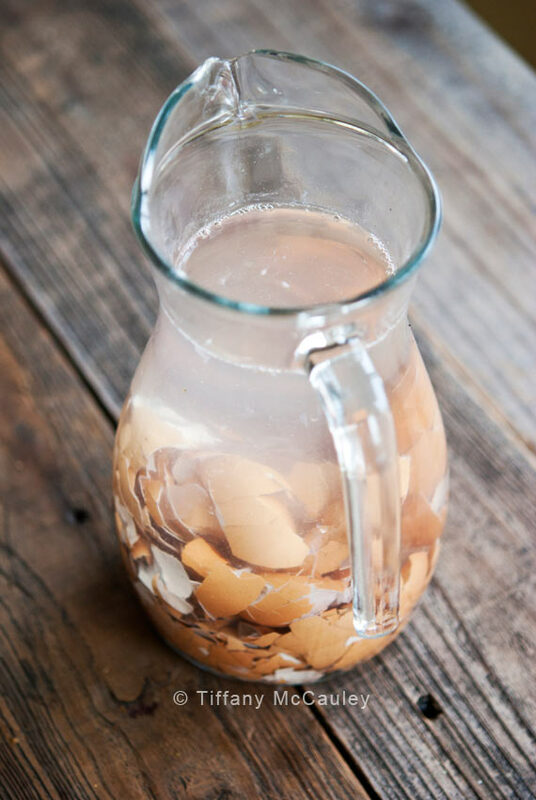 So if you want to give your plants an extra boost, don’t toss out those egg shells! Crush them up and dump them in some water! One thing to remember though, is that over time, the stink will go away. 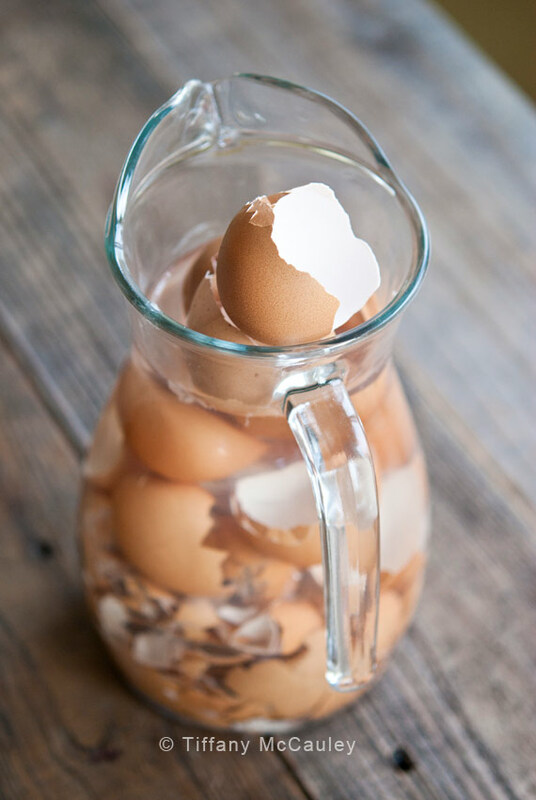 You can refill the bucket with water using the same egg shells, over and over until they don’t stink any longer. At that point, you know you need new egg shells. You actually WANT them to stink! Go ahead and try it. Just do yourself a favor and keep it outside. Those you live with will appreciate it. I do the same thing, but I use a milk jug so I can keep it closed and prevent it stinking up the house. This is also a great deer repellant!